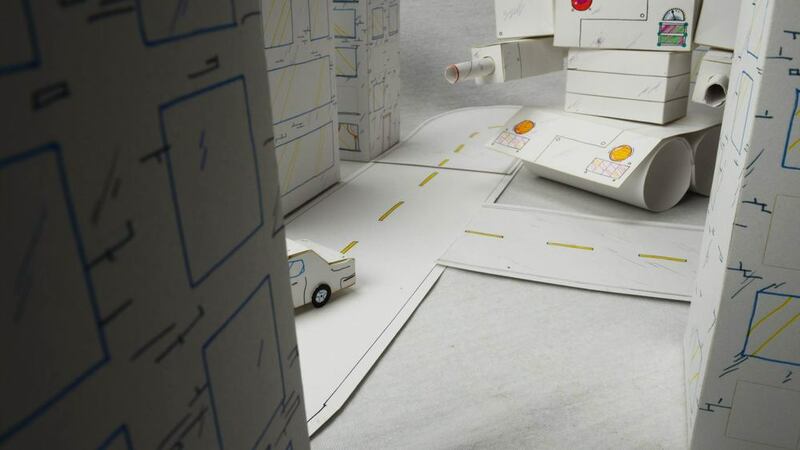 This project began as a personal experimentation with stop motion. I fabricated the puppets using bristol paper, rare earth magnets, and quite a bit of superglue. In order to get dynamic frame by frame camera movements, I built a camera slider using custom 3D printed parts. Green screen compositing was also used for one scene where the robot explodes. I've learned that it is extremely difficult to get a polished look with stop motion, especially by yourself! 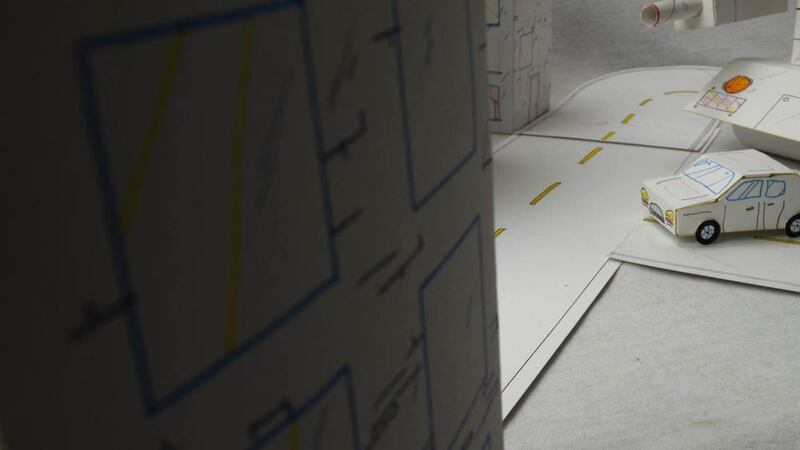 Hopefully I can work on a stop motion project with a team one day! Makeshift stop motion studio - complete with blocked off windows for consistent shooting, and jacuzzi bathtub for those particularly.. stressful moments.